As part of our dedication to our customers, we have upgraded LynKnight.com to a brand new version. Although the new site looks very different from the prior version, all of the new functionality is programmed to act pretty much the same as the old site. 3. If you haven't registered yet, just click on the "Register" link under the login menu. 5. 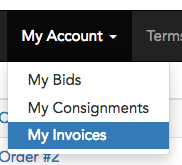 On the search page, you can search for items by Lot Number, Title/Description and by Catalog. 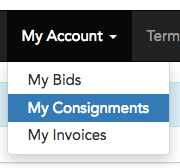 Once search results are returned you can click anywhere on the item row to see the details of the item on a new page. 8. 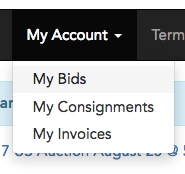 You can view your bids anytime by clicking on the "My Bids" menu option under "My Account" menu bar option. 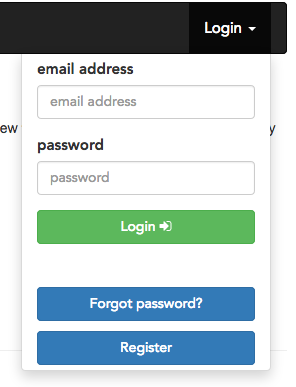 You need to login to be able to see this menu option.